We offer bespoke catering and as such our prices are quoted on an individual basis. This is depending on your occasion, duration of the service required, numbers attending, location and your personalised menu. At Morgan's Wood-Fired Catering, we believe wood-fired cuisine to be as creative and exciting as any. 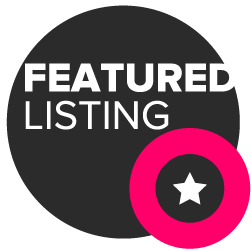 We firmly believe this is something which can cater for all palates and open minds to new experiences. We offer our customers the theatrical experience of seeing their delicious meals cooked within minutes, using an open flame. Our aim is simple; to serve the tastiest wood-fired cuisine, fresh and hot to the customer and at an affordable price with a service to rival any. We produce delicious wood-fired pizza, all served with tasty dips and a number of additional dishes and sides, depending what you're after. We pride ourselves on working with our customers in creating a personalised bespoke menu to suit their tastes, able to cater for all dietary requirements. We tried one of your pizzas at Hady Primary School last weekend and I just had to find you on here and tell you how delicious it was! We are big pizza lovers in our house and it was one of the nicest we've tasted for ages!! Just wondering what event I can plan to hire you now!!?? Thank you so much for catering our wedding last night! The food was amazing and the staff were great with all our very drunk guests. I would 100% recommend to anyone. Pork sandwiches, roast potatoes and loads of different pizzas including vegan options. I am right now craving chorizo and goats cheese. Thank you James and team we loved it! Fantastic and professional team. Very helpful and the food is delicious. Very good at catering for large events too. 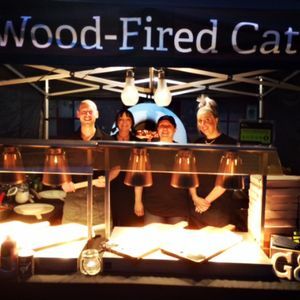 High quality bespoke wood-fired catering; Weddings, private parties, Corporate, festivals, galas & fetes. Wide-ranging menu, from hand-stretched artisan pizzas to gourmet burgers and many other dishes and sides, including our sweet menu; able to cater for all dietary requirements. We have catered many events, all wanting their own unique vibe and style and we can usually adapt to suit any occasion. By all means; we offer a bespoke menu and pride ourselves on being able to work with our customer's to create a menu that fits their taste, budget and style, without compromising on quality! Yes. We offer all manner of wood-fired cuisine and we only use the finest ingredients to create the finest pizzas and dishes alike. We pride ourselves in offering a bespoke service and will endeavour to create any menu we're given, including any personal favourites our customer's may request. We produce delicious wood-fired pizza, all served with tasty dips and a number of additional dishes and sides, depending what our customer's are after. These include, hot roast pork sandwiches with stuffing & apple sauce (or select meat and garnish), meatballs, gourmet burgers, steak ciabatta’s with Rosemary & Thyme roast potatoes, wood-fired curry, wood-fired chilli, jacket potatoes...just to name a few. Our sides include mini herbed roast potatoes (these being a firm favourite), sweet potato wedges, chunky chips (& with cheese), antipasti, salad, or a request of your choice. We offer a breakfast menu, including our breakfast muffins, wraps and flatbreads and we also offer a select and delicious sweet menu, from wood-fired rhubarb & apple crumble and baked tarts, to sweet pizzas, flatbreads and pancakes. ​We cater for a whole range of occasions, from pizza-nights around pubs and local bars, to festivals and galas.